Come along for top tips on how to support your child with reading, There will be information on how we teach letters and sounds, and reading at school too, as well as information about how your child’s reading will develop throughout the year. Come along for our class liturgy to celebrate Saint Francis’s feast day as he is our class’s saint. This will be very simple, with some songs, photos and a short liturgy to share with you. 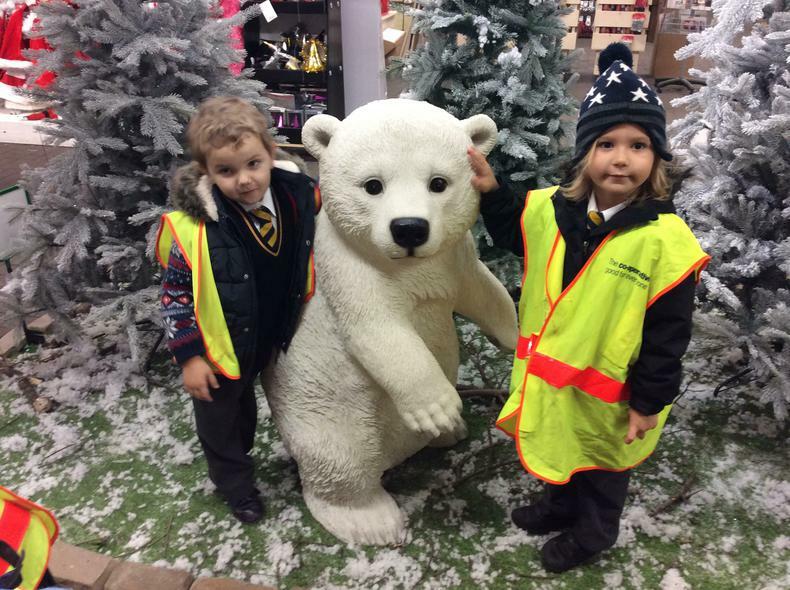 Welcome to our Reception Class. We are having an Easter Workshop on Monday 3rd April - pop over to our class letters page for more information. You are very welcome to come and join the fun! In Reception we have lots of staff to help us. Mrs North is the class teacher, Miss Salussolia is here all the time, and Mrs Cristofoli is here every day from lunchtime. 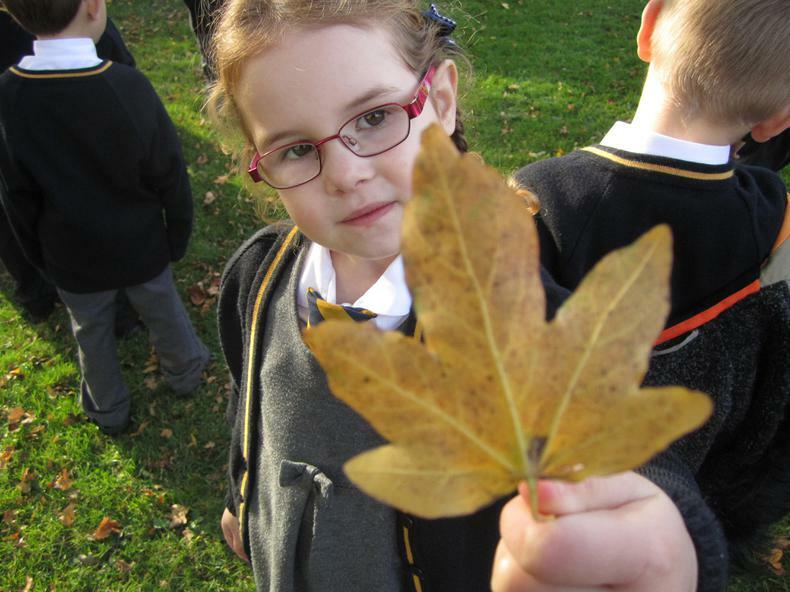 Welcome back to the Summer term - we are looking forward to seeing the children in their summer uniforms. Please remember the new routine for the children coming straight into the classroom (see information on our class letters page). This half term we will be starting off thinking about Easter, and then crack straight on with Chicken Licken! 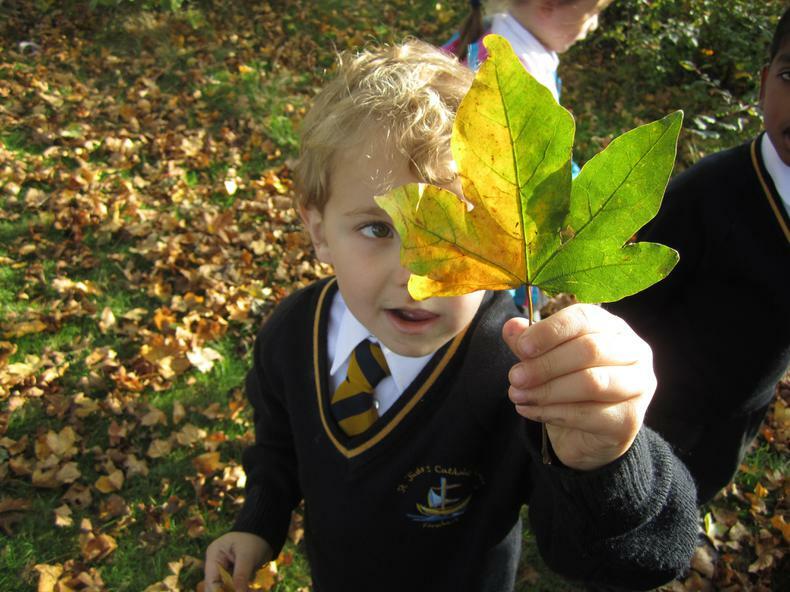 Have a look at our Curriculum page to see what the children will be up to. Welcome back to the Spring term. 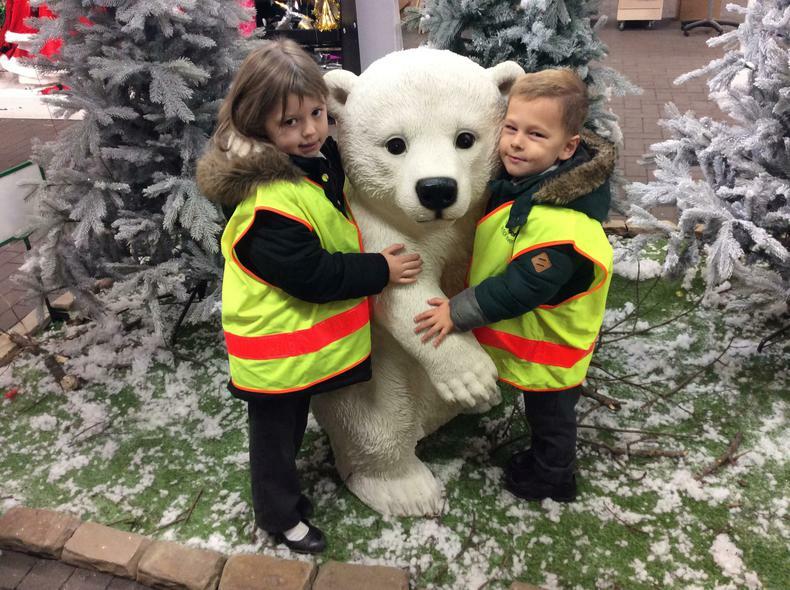 The children have come back really ready to learn and despite the cold weather they are eager to be outside and exploring the ice and frost. 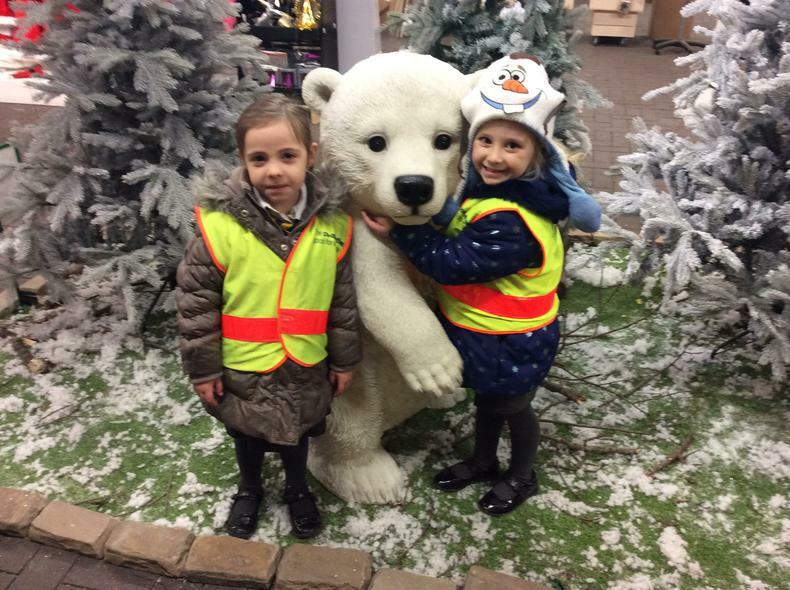 Please make sure your child wears a warm coat, brings a hat and wears their school jumper; and girls really do need to wear tights - it's chilly outside! 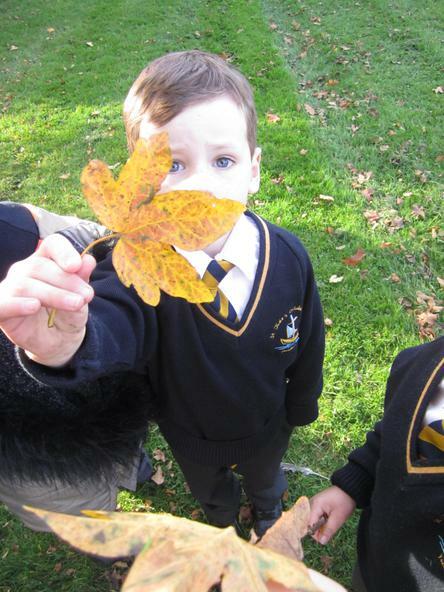 Head over to our curriculum page to see what the children are focusing on in their learning. "Talking sheep - that's magical!" 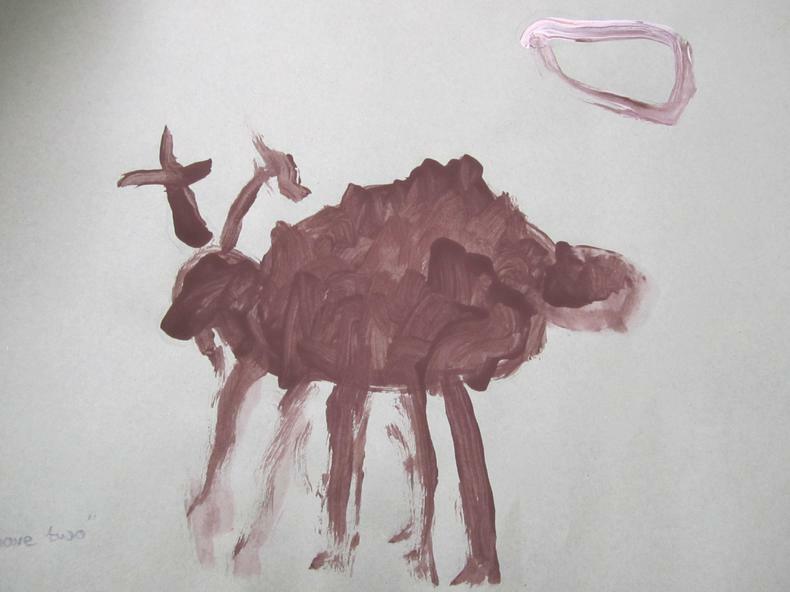 Yes our reception class were truly amazing as the little lambs who not only talked but tangoed as well! Our Christmas play this year was "The Magical Christmas Journey" with children travelling to find a star for their Christmas tree only to find the true meaning of Christmas at the stable in Bethlehem. 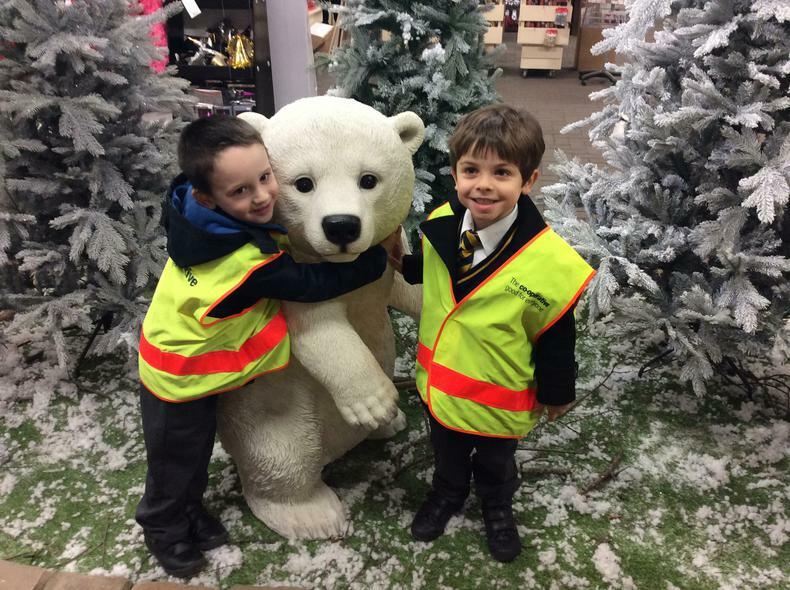 We are so proud of the reception class - didn't they do well! 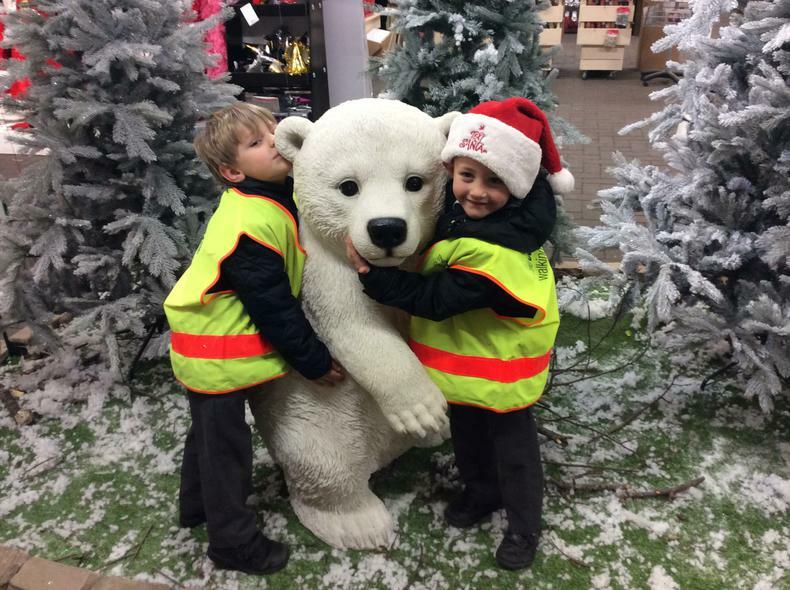 We've had lots of fun getting ready for Christmas. 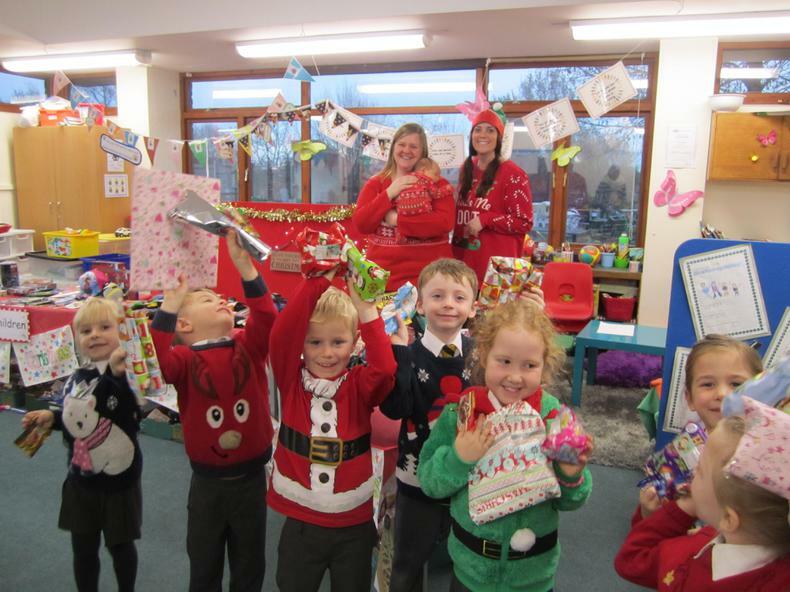 We went to our school's very own Christmas market where the children can choose and buy presents for their family. 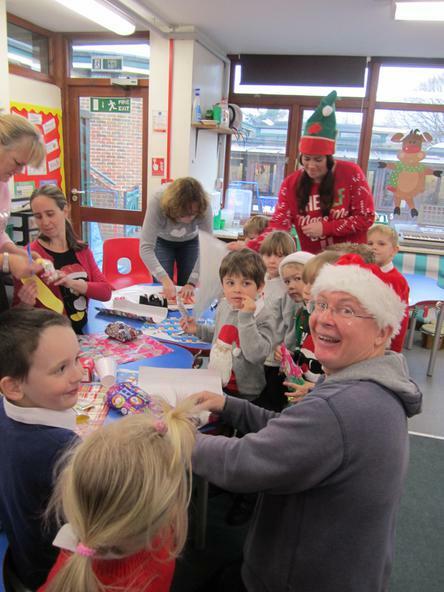 A huge thank you to the PFA who made it such a lovely morning for the whole school and helped the children wrap their presents. We also had a fantastic morning making all sorts of things in our Christmas workshop. 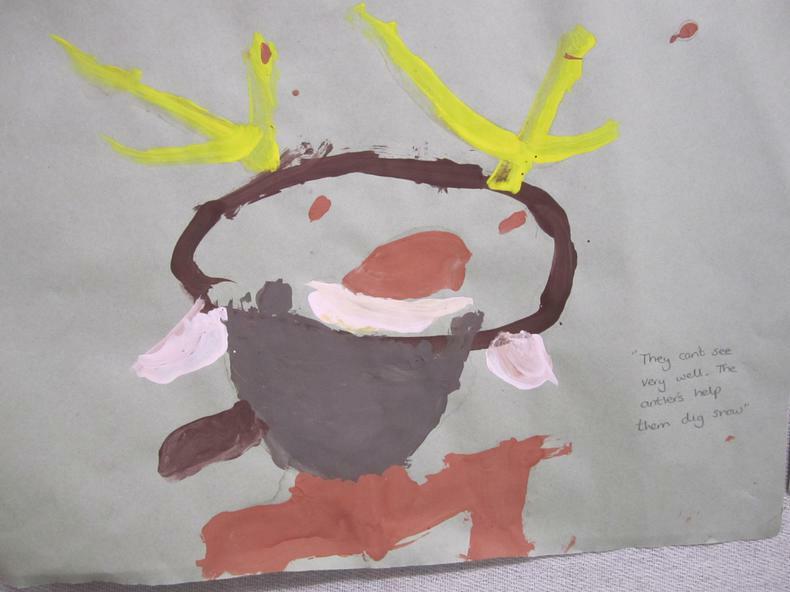 The children made everything from reindeer cakes and elf hats to beautiful Christmas decorations. 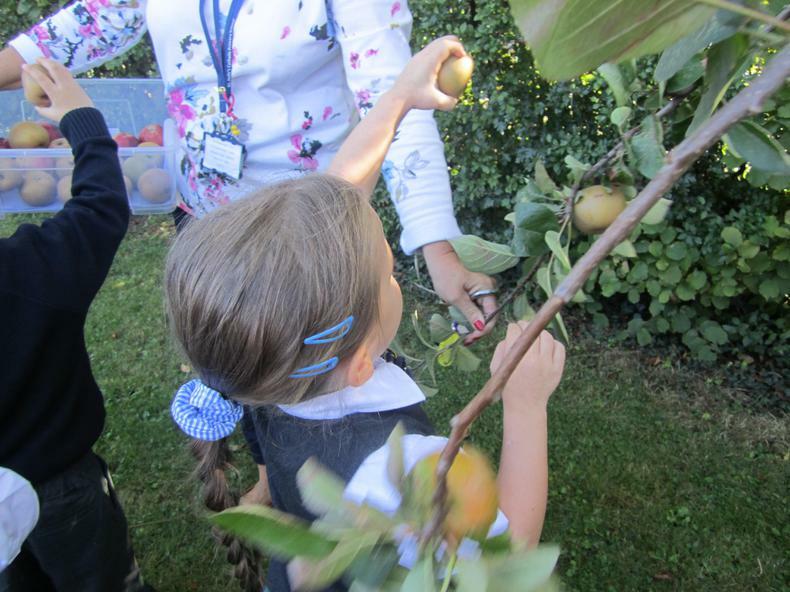 A huge thanks goes to the parents who came to help and make it a really special morning for the children. 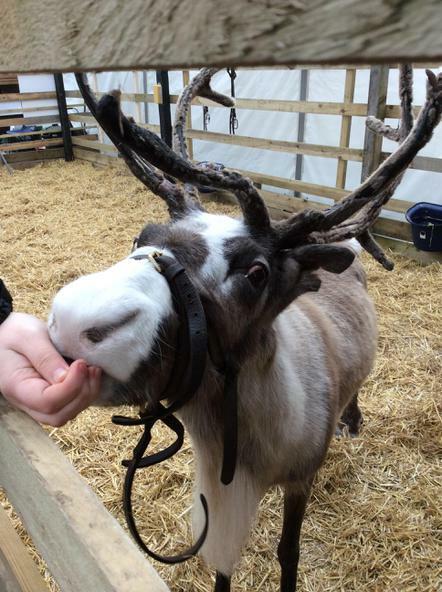 Off to see the Reindeer! 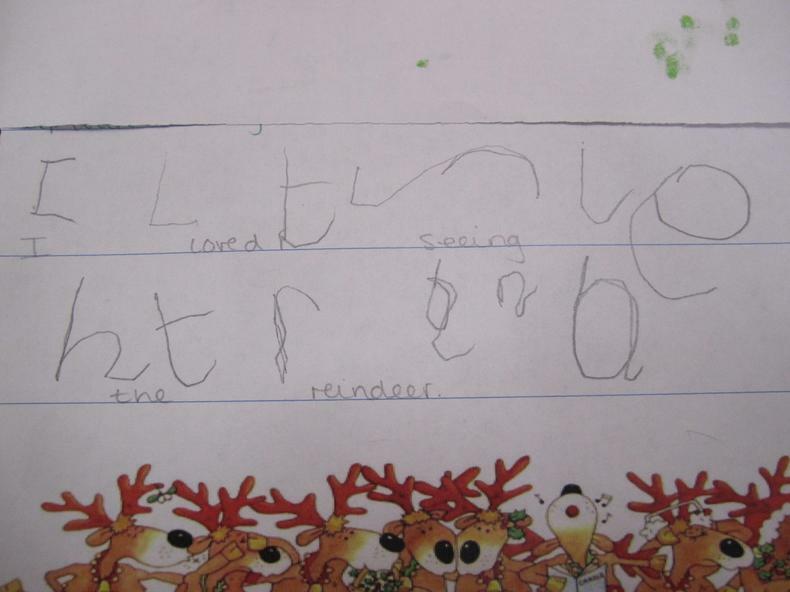 Did you know that reindeer's antlers drop off in the summer and they grow new ones each winter? The new antlers are soft and velvety, but as the weather gets colder the fur drops off and they get harder so that the reindeer can burrow into the snow to dig for food. 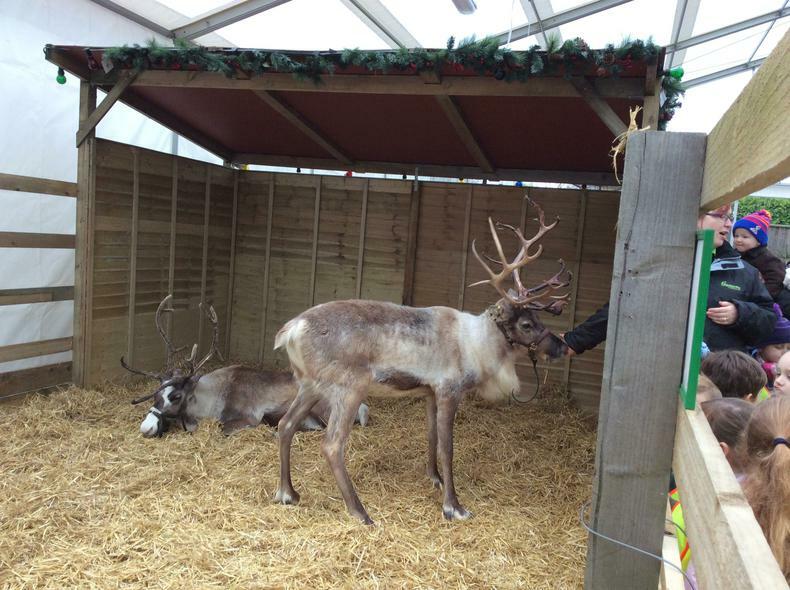 Reindeer's live in herds and they love company. Everyday they walk a long way. 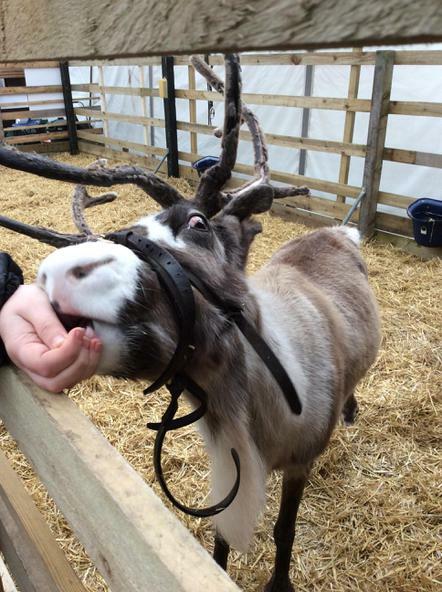 The reindeer we saw are taken for a daily walk and they love to snuggle into their carers shoulders. 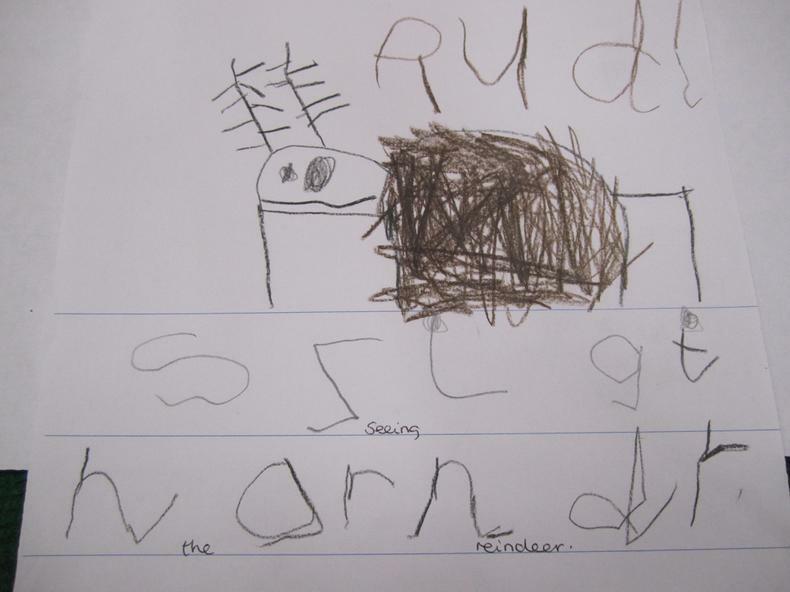 We noticed that their back legs bend backwards - but that's not the only amazing thing they do - reindeer can't see very well but their back legs click and the reindeer follow the clicking sound in front of them so that the herd can stay together. They have cloven hooves and their feet look a bit like a goats. Jasper thought they looked a bit like a camels feet, and they walk easily on the sand - which is why reindeers' feet get bigger in the winter so they can walk through the snow. 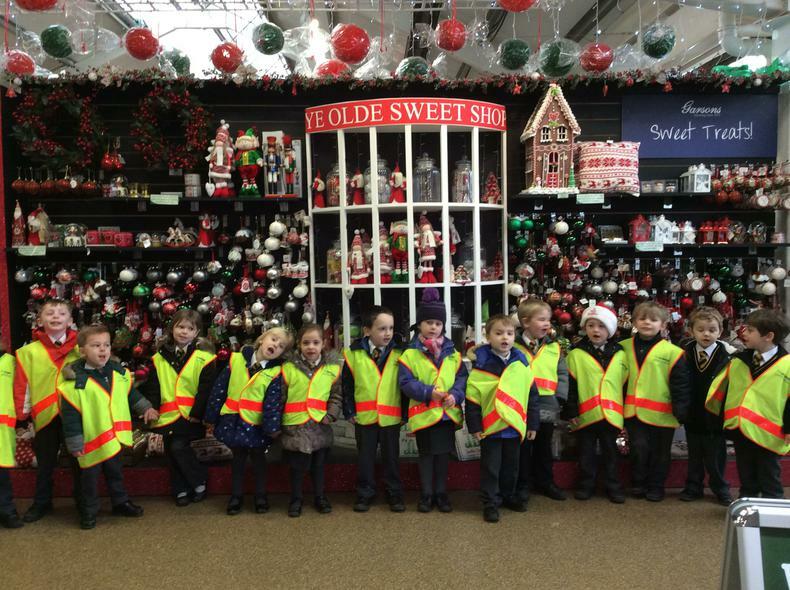 We had a lovely morning looking round the garden centre. 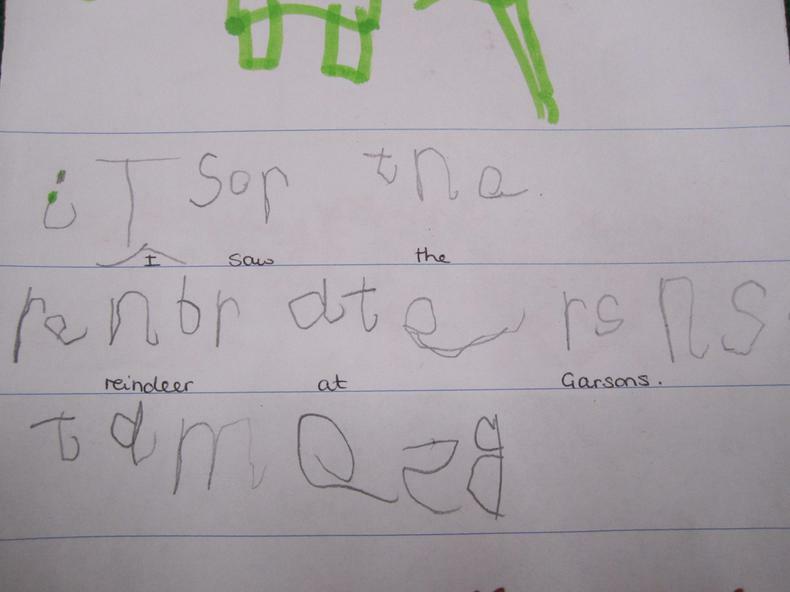 Garsons were very kind to have us, and they gave us their fantastic talk about the reindeer for free. 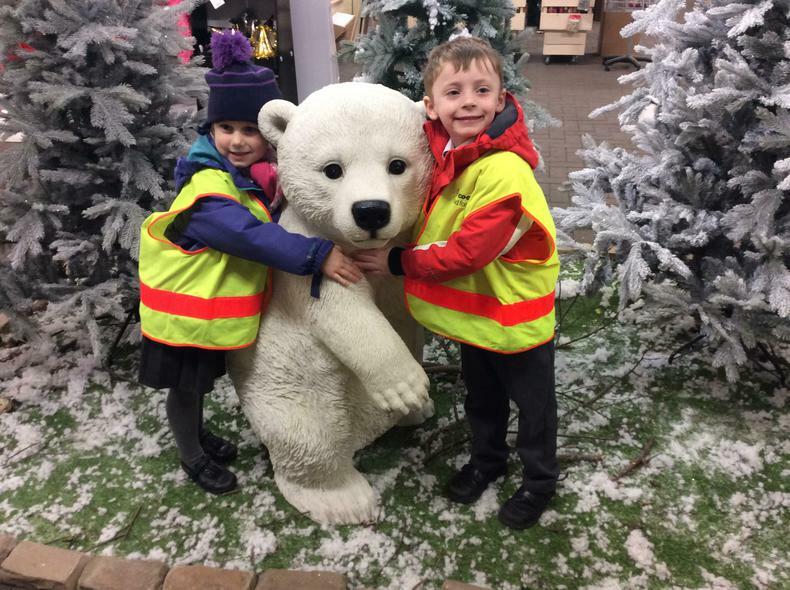 They are raising money for Naomi House, Children's Hospice, so the families made donations to give to this charity - a big thank you to the Reception Class - we raised £50. The children love the pallets and tyres in the reception play area - and are regularly rearranging them to create boats where we have to walk the plank. 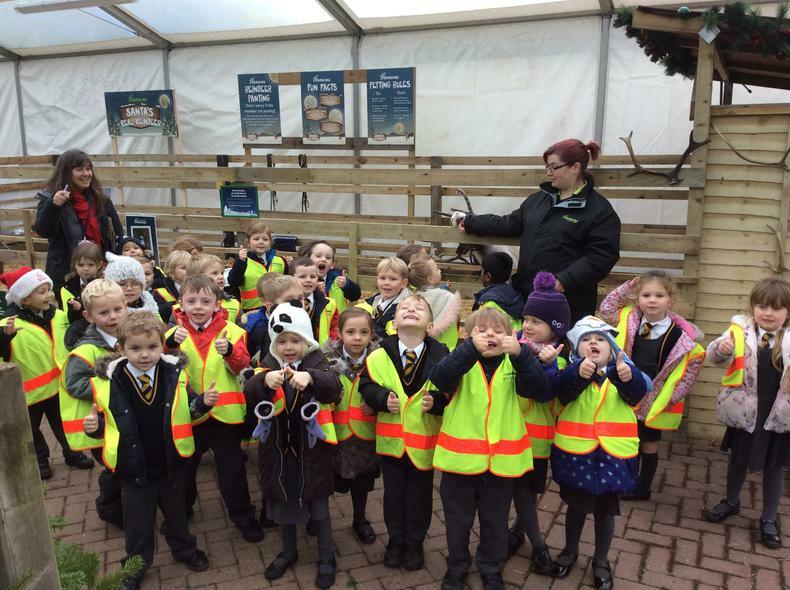 The weather has been freezing but as always the reception class love being outside and have been fascinated by the ice we found in our outdoor trays. Mrs Wall went to the bookshop and found something which was perfect for our class - a lovely book called "The storm whale in winter". It tells the story of Noi who went out looking for his Dad with the help of his friend the whale. We set up a little scene outside and the children were very excited to find that it had all frozen overnight - just like in the story. 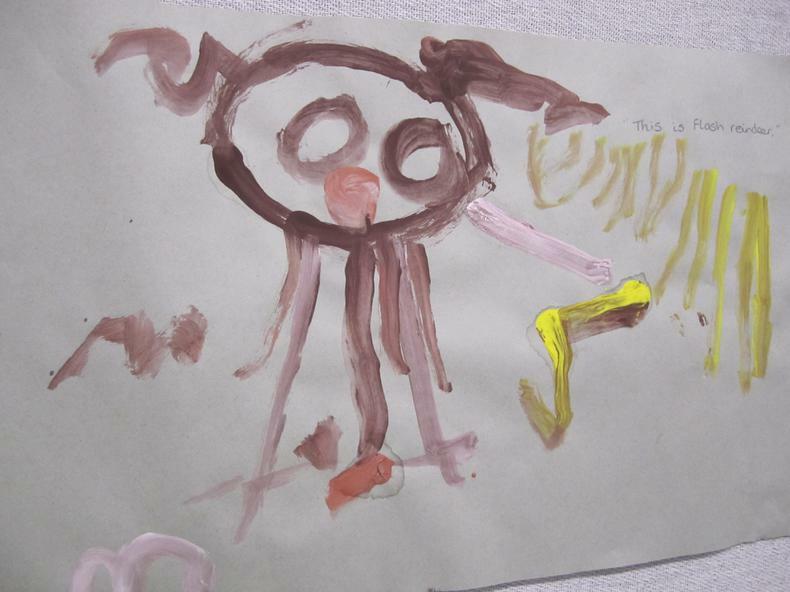 The children made fantastic pictures using chalks and wrote speech bubbles of what Noi and his Daddy might be saying. Riley made a fantastic person in our "Make and Create" area using boxes and paper - it was all his own idea. We have 2 new members of the class - we are very pleased to welcome Holly to our class, but we also have someone very small - a baby guinea pig! 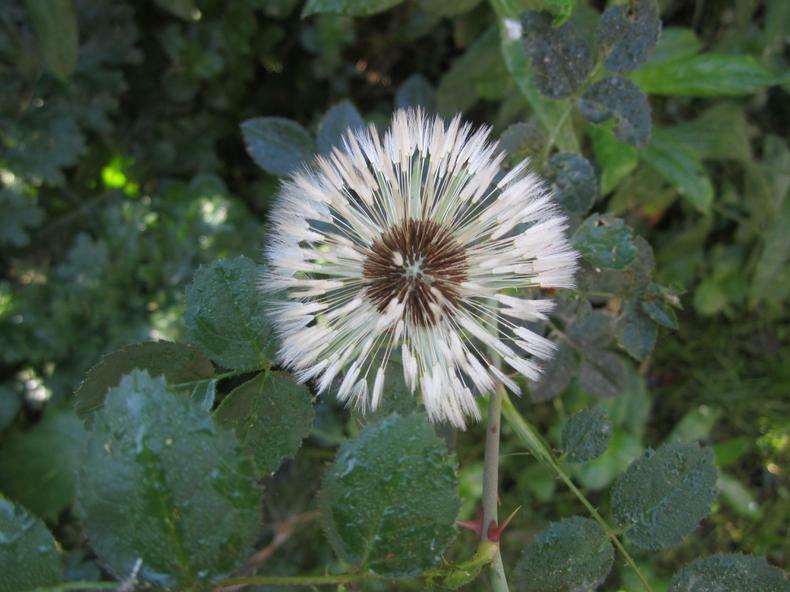 The children have decided to call him Fluff - I wonder if you can guess why? We all love him and are learning how to look after him. He needs fresh water, dry food and fresh fruit and vegetables; and he loves having lots of hay to snuggle down in to make his own little nest. Already we've noticed that his eyes have changed a little bit as he gets bigger. Fluff, our new guinea pig! 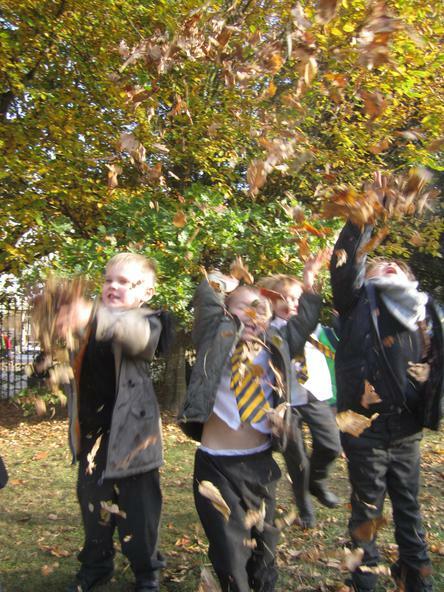 The children were fascinated by the beautiful autumn leaves they found out and about, so we decided to go on an autumn walk around our lovely grounds. 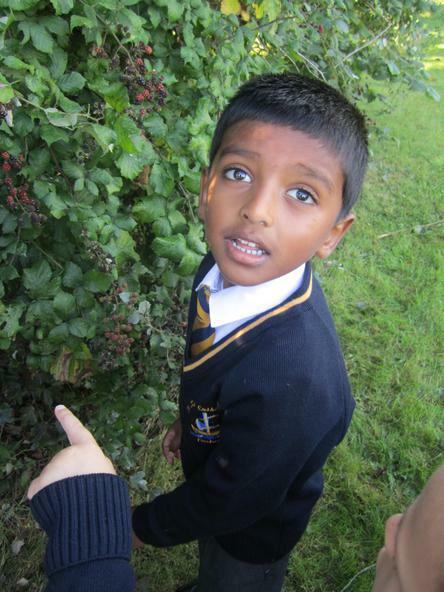 The children had a great time collecting them up. Being so close to Bonfire Night the boys loved collecting sticks and using the wood in our outdoor construction area to make bonfires. They busily swept up the leaves and sticks in our camp area to make bonfires ready for cooking, so we decided we'd better have a real bonfire - but what else could we do? The children had plenty of ideas! They decided we should toast marshmallows and have bacon butties around the fire - it was delicious and we sang plenty of campfire songs too; the children loved "5 fat sausages" and "Alice the camel". We have been talking all about finding 1 less, so these songs were a real help as used our fingers to work out how many were left. Sam and Emily reminded us that their Mummy sells bacon butties in her burger van - so Mrs Chivers came to visit us to tell us all about it . 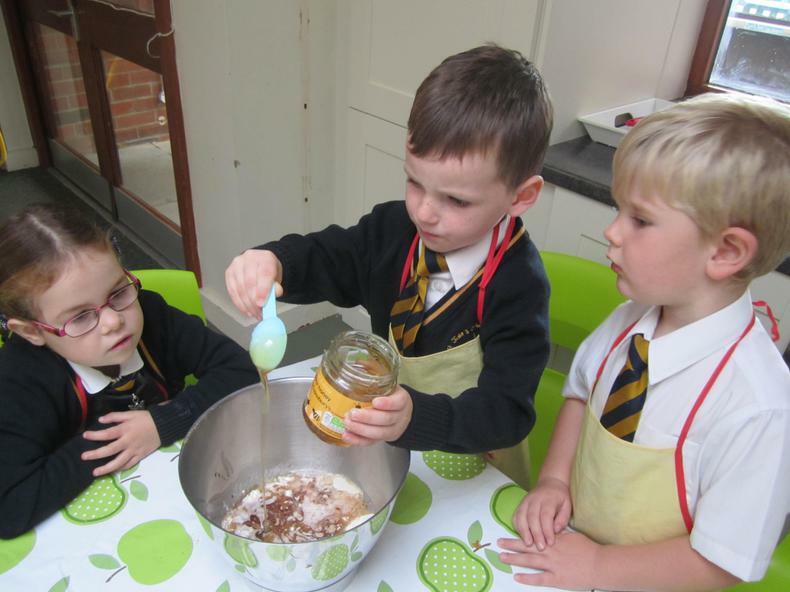 We found out it's actually a pop up cafe, and Mrs Chivers explained what she does. She cooks a lot of bacon butties! We then made our own campfire cafe where we could buy bacon butties and put marshmallows (cotton wool balls!) on sticks and sold them at 1 pence for each marshmallow. 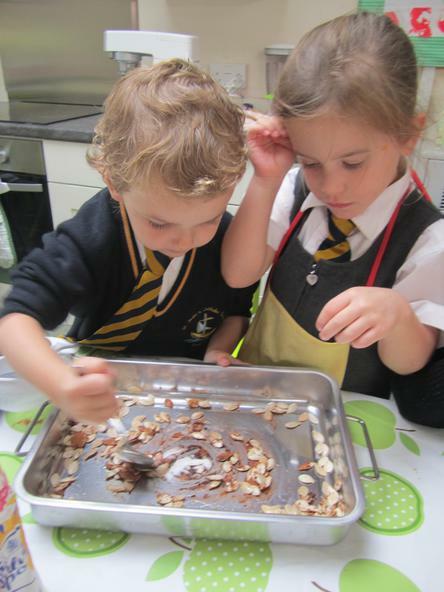 The children took turns being the chef and taking the customers' orders and were very busy in our own cafe. "I cooked this much bacon for the bacon butties today!" The Head Gardeners have settled in! 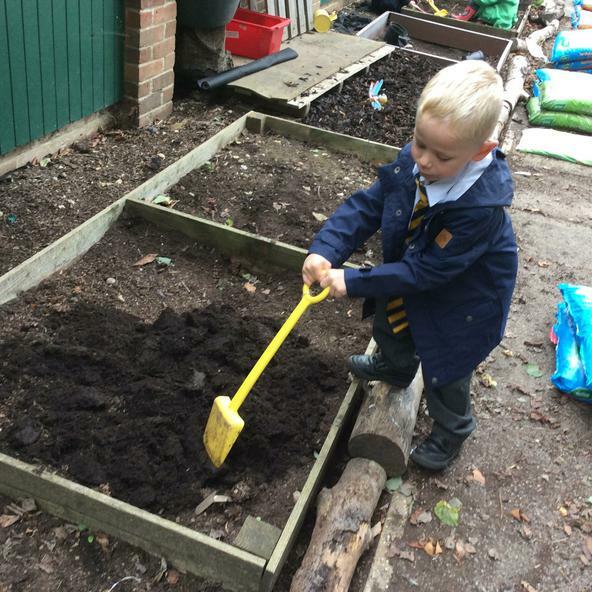 The children love being outside but summer has come to an end and it needs a good tidy up and there’s been lots of weeding to be done. Oh dear, our digging patch is looking rather worse for all the digging the children have been doing. 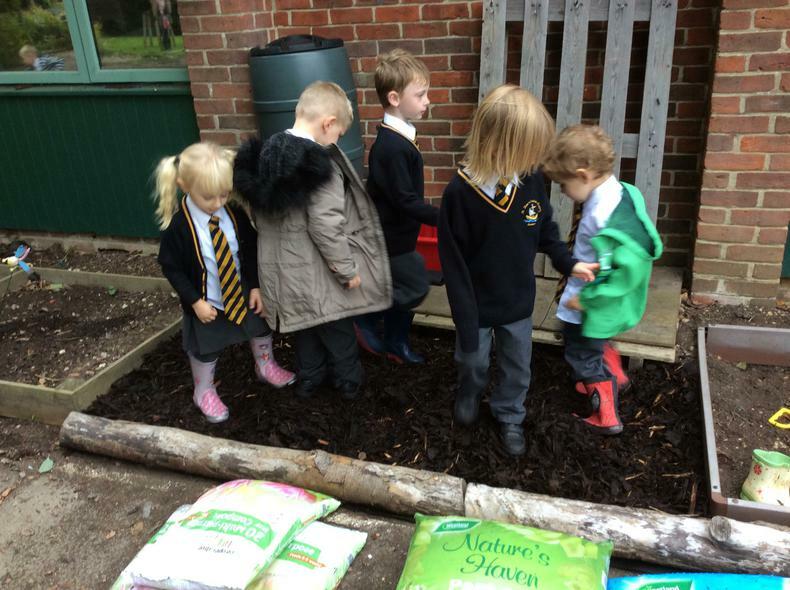 Mr Landy at the Co-op on Highlands Road has been very kind and given us soil and mulch and the children have had a fabulous time digging and have loved finding worms. 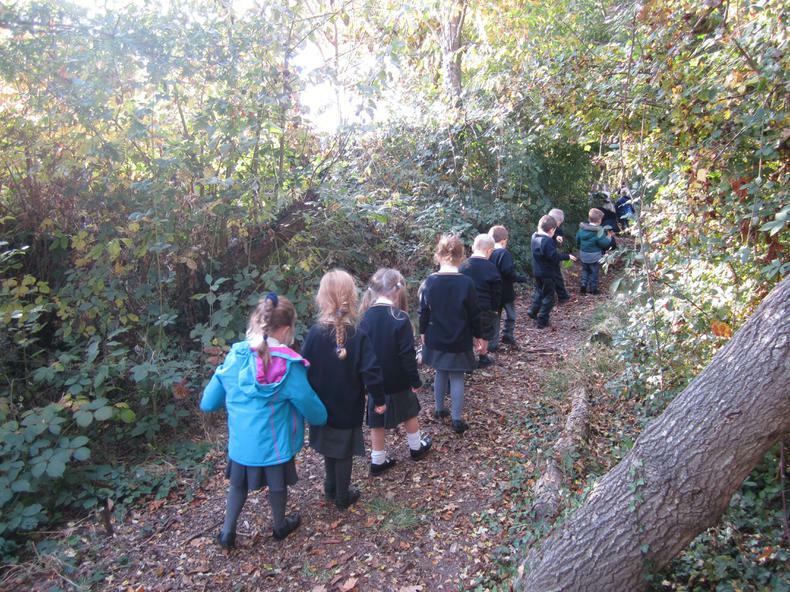 Our wellie boots were looking a bit sad and so the children made the most of the autumn sunshine and had a busy couple of days and have replanted them all. What a fabulous way to end our half term. Well done everyone! 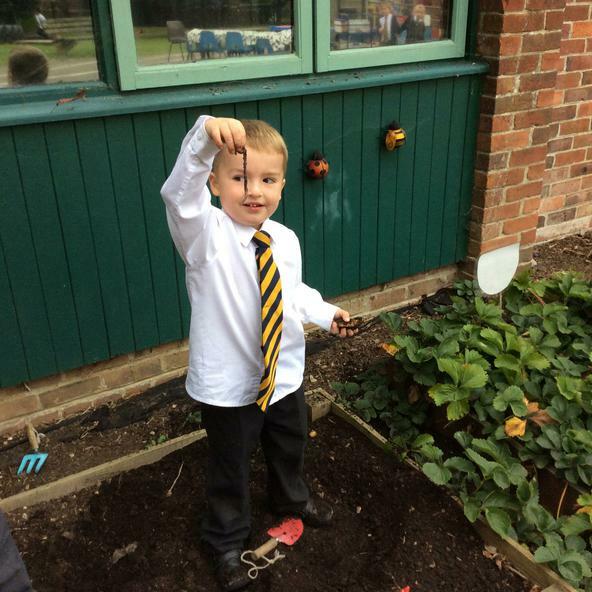 We have been reading “Pumpkin soup” by Helen Cooper – and we found lots of pumpkins outside in our garden. 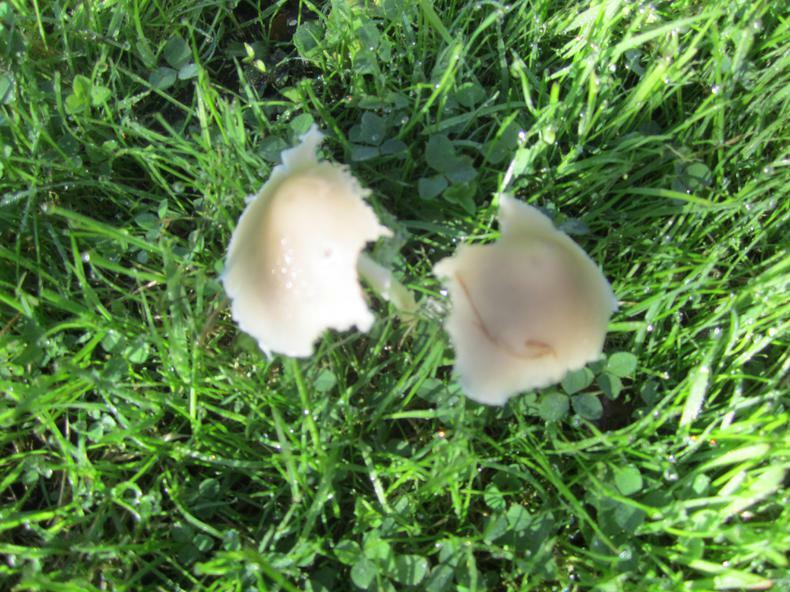 I wonder where they came from asked Mrs Cristofoli. Jakub wondered if the fox had brought them. James Y thought Mrs North must have been to the pumpkin shop! 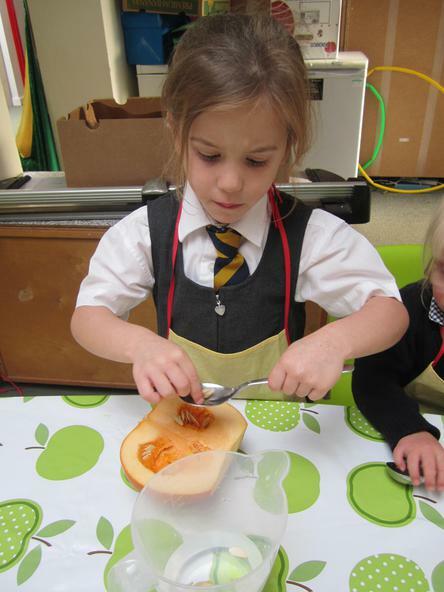 And of course we had to make PUMPKIN SOUP. Was it the best we’d ever tasted? No! 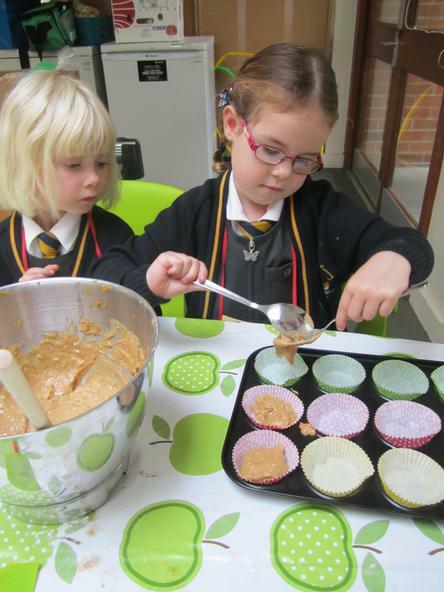 But the children loved the other things we’d made – pumpkin muffins and toasted cinnamon pumpkin seeds – they were lots of fun to make. 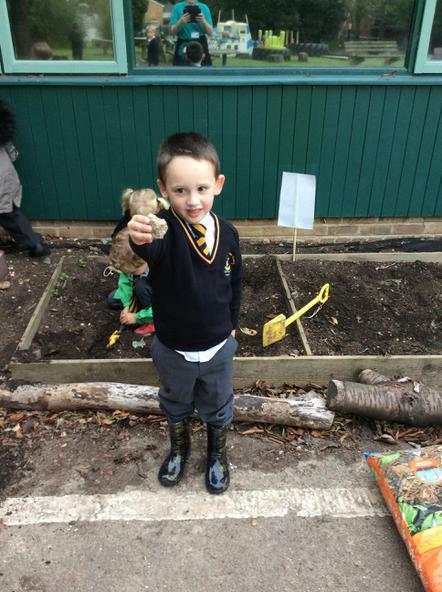 We have had a special visitor in our school – a fox. 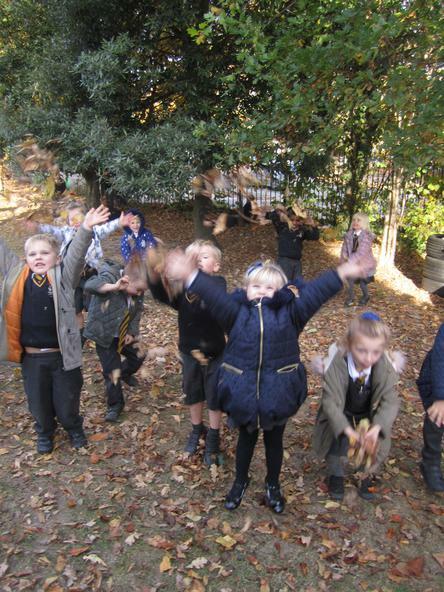 The children have loved watching the fox coming up on the field. He has got a bit too brave so we all came in and looked up on the internet for some amazing facts about foxes. Your child might like to watch the film again ( https://www.youtube.com/watch?v=OzxE2WzL6ds ) - why not take a look? 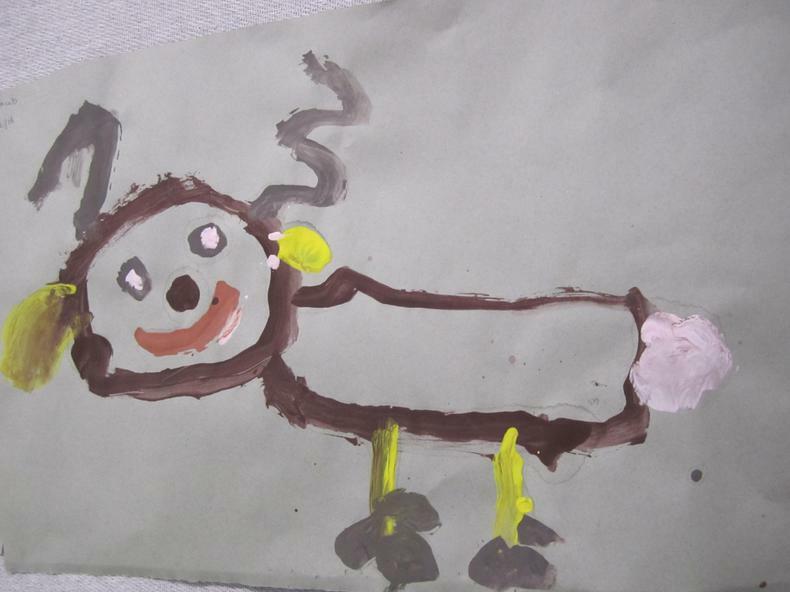 The children have loved drawing and writing about him. 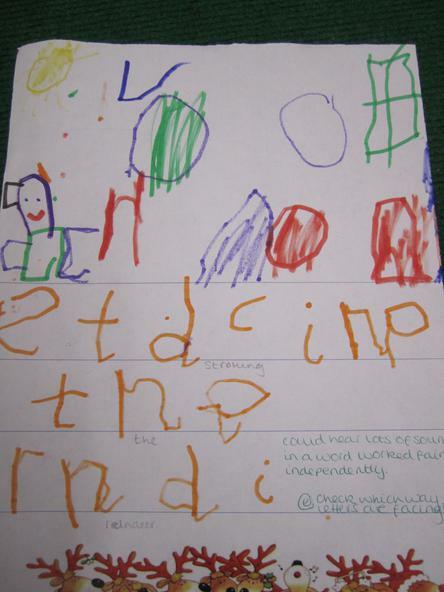 Jakub has done lots of lovely drawings of the fox and his Mummy, and Sophia has been busy writing in the home corner. We have had another visitor to our classroom - this time it was a ballet dancer! We loved watching Ellie dance - she showed us her special point shoes and her beautiful tutu. Then she did a tap dance for us. Ellie showed us how to stand with "pretty hands", and we all had a go at making our toes happy! The children all had a go at showing us some of their dances. Olivia showed us her Polish National dance she did in a competition, and Bisia showed us her butterfly dance. The boys were keen to show us "holiday dancing" - Peter Kay - eat your heart out! 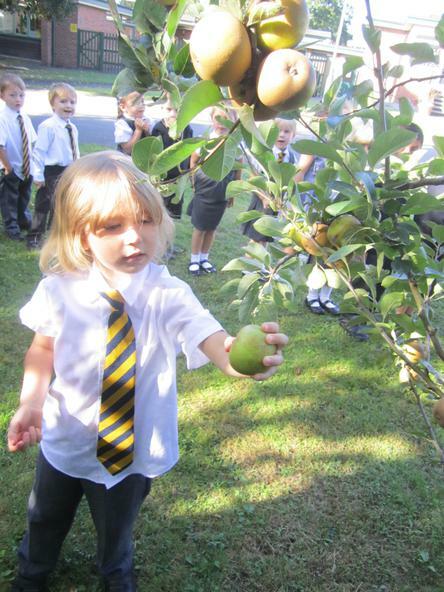 We have been thinking all about God’s creation and so we had an Apple day. 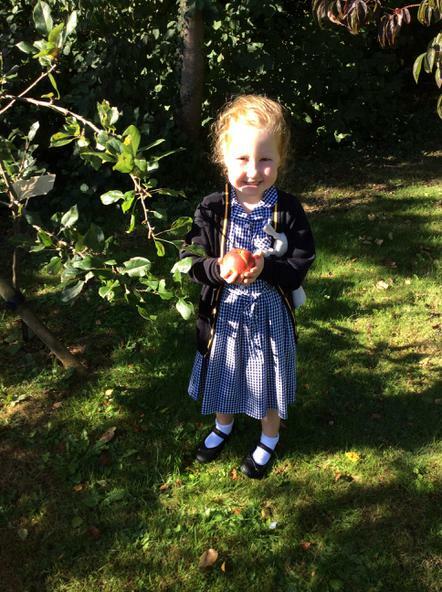 We went off around the school grounds to find apples. 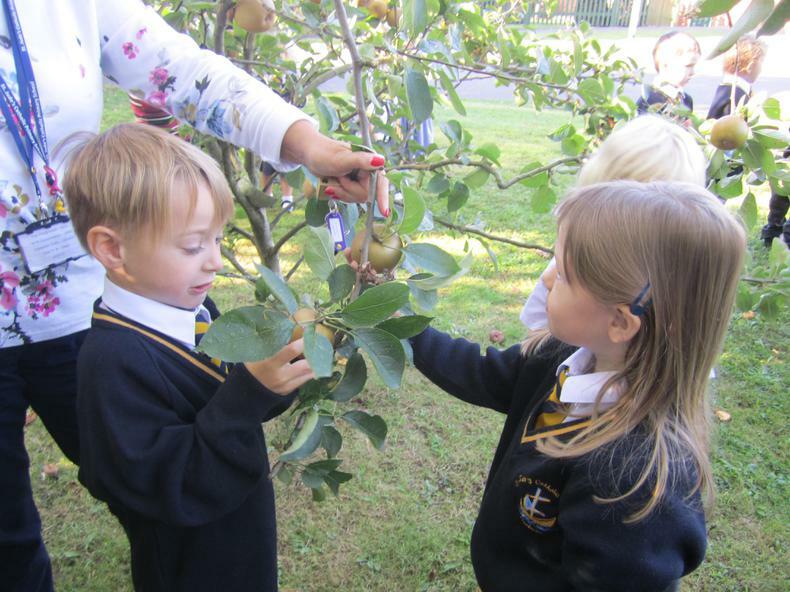 We found several different types of apple tress. James Y explained how we have to twist and pull to collect them. 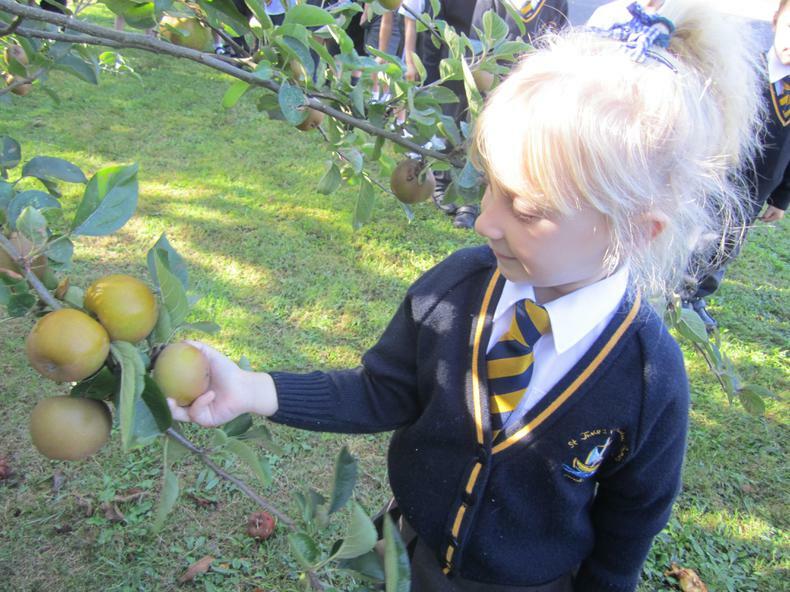 Then we found some cooking apples. 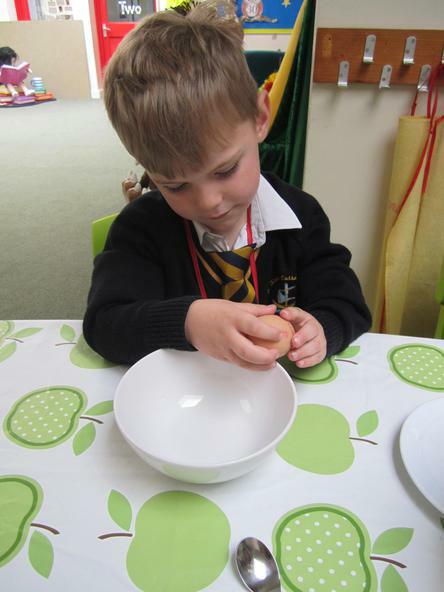 We spent the day using the apples in cooking. 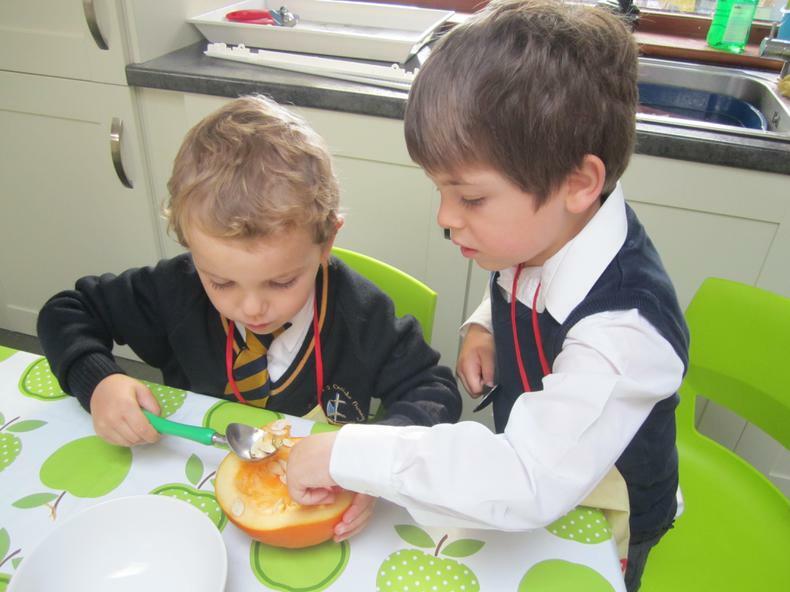 We made apple juice using the juicer; the children could choose whether to have just apples, apples and carrot juice or apple and pear. 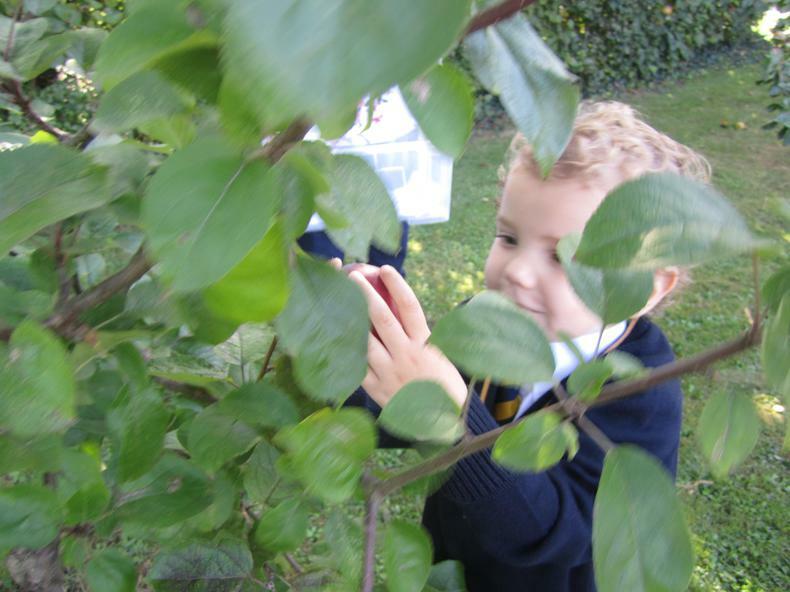 We sat outside and had a lovely picnic with apples, cheese, crackers and juice. 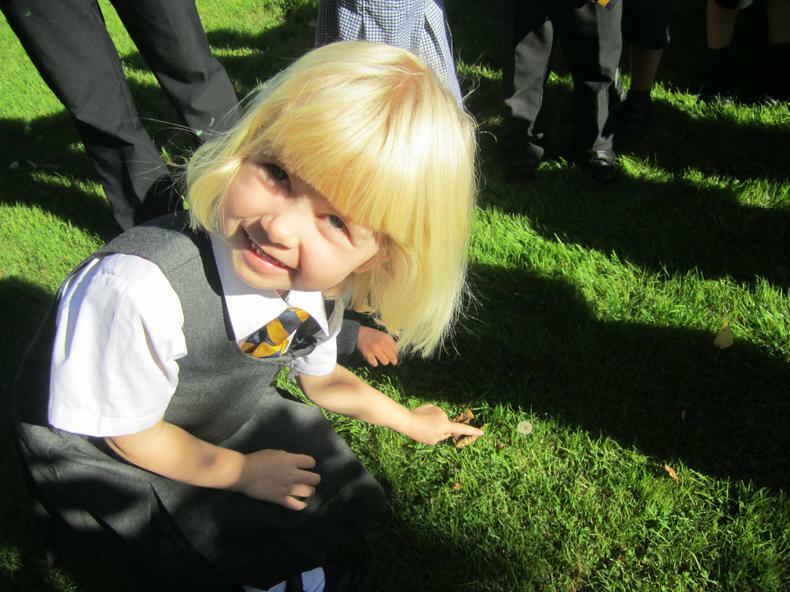 The children have had a fantastic start to school - everyone's come in looking very smart in their new school uniforms! We've been having lots of fun choosing where to play. 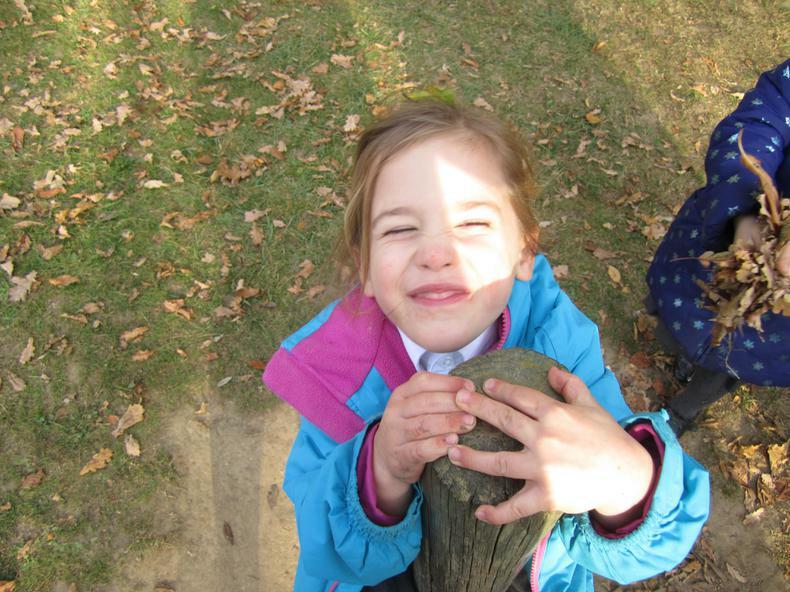 The children have loved being outside and playing on the trikes and in the sand with the dinosaurs and cars. We have a new campsite under the trees and the children have been busy having tea parties in the tent. We are all learning songs and rhymes. 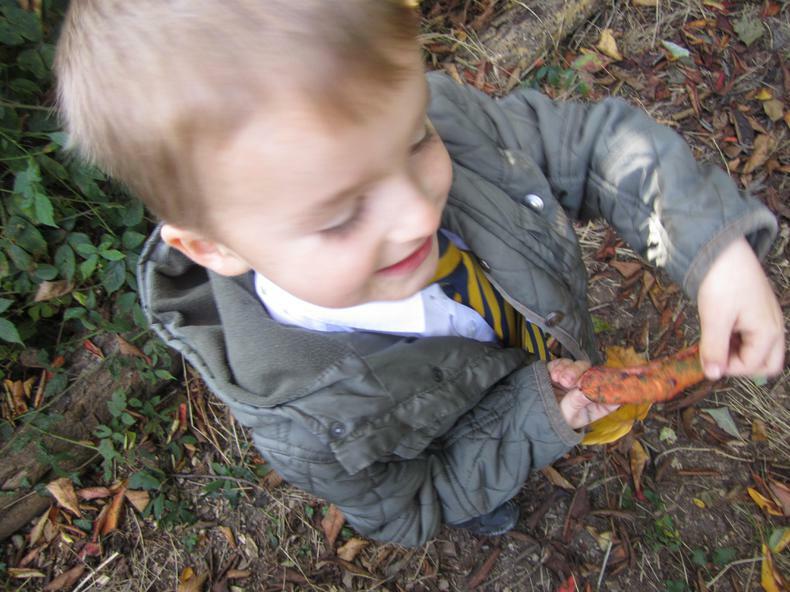 You might want to take a look at Youtube to sing along with "Little Peter Rabbit" ( https://www.youtube.com/results?search_query=singing+hands+little+peter+rabbit ) with your child - the children are learning the actions really well. Our author is Lauren Child and we have been reading the book "I am absolutely too small for school". 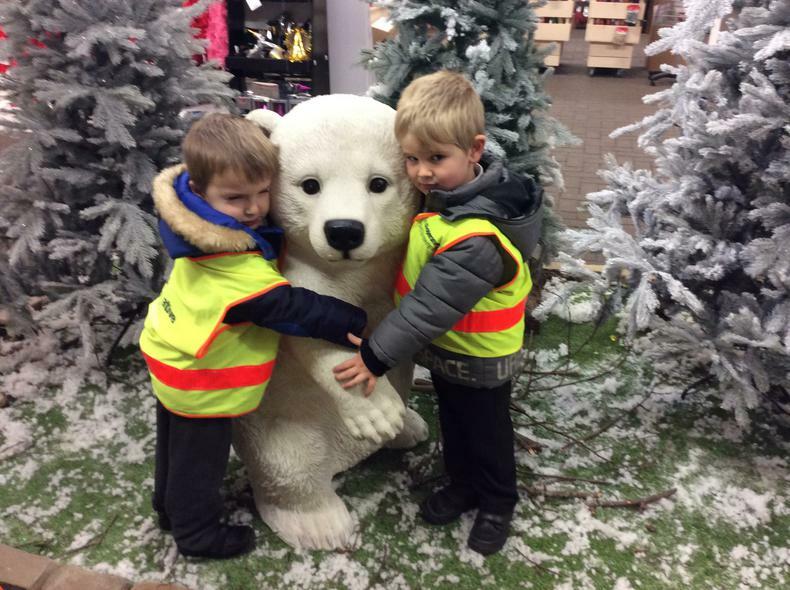 They were very interested in spotting Lola's invisible friend Soren Lorenson! Lola doesn't wear school uniform and decided to wear stripy clothes. 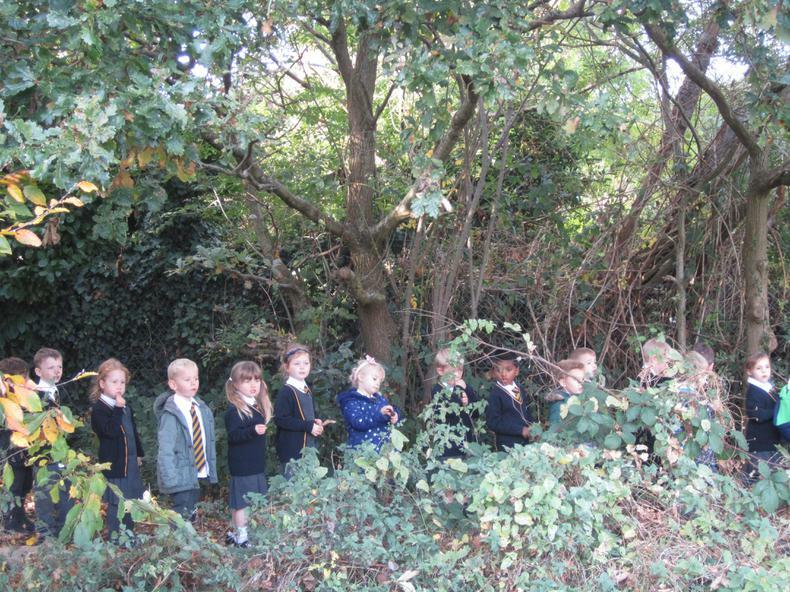 The Reception class decided their stripy ties were the best. 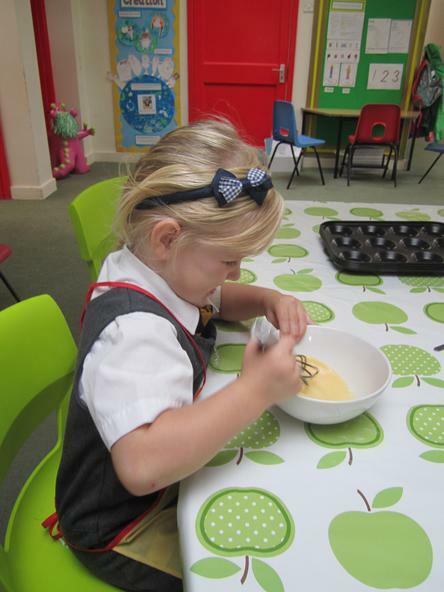 Lola never has more than 10 biscuits but what did our class think? Well... Rudi has 1, Jasper likes to have 2 and Kenzie likes to have 43, 16 and 22 - The children all loved this idea!